Our hair is often termed as our crowning glory. Most often, even the slightest change in our hair style or hair color also gives a noticeable change in our aura. This is the reason why we are willing to go the extra miles to find a good stylist to take care of our roots. Sadly, frequent styling, diet, lifestyle, health condition, and even hereditary factors, can cause damage to our hair roots, which can lead to hair fall, and as we are all aware of, thinning, balding hair is associated with poor health and aging. Now, this doesn’t seem to be a big problem since there are several formulations that claim to stimulate hair growth and a lot of them are actually effective, but, like all medications, they usually come with side effects or, the result can sometimes take months or even years to be appreciated, and even more sadly, sometime, even if the product had been proven and tested effective, it just doesn’t work for you. Luckily, we are now in the age of advanced regenerative medicine, where the use of our very own stem cells is the main focus in aiding our bodily concerns. But what are stem cells? Stem Cells are the kind of cells in our body that doesn’t have a classification, they are like babies, they still don’t know what they will be, they can be any kind of cell with proper activation or, they can just differentiate to the type cell for the organ they came from. What is the role of Stem Cell for Hair Restoration? Our hair roots have their own stem cells. These stem cells will be harvested for active hair foots and transplanted to damaged hair roots for renewal. This renewal makes hair growth possible again. Usually, patients who have done the procedure will see some improvement in as little as 2-3 weeks after the treatment. However, hair follows a specific cycle so results greatly vary from patient to patient. The procedure starts with an evaluation as to whether a patient is a good candidate for the Hair Root Stem Cell transplantation. 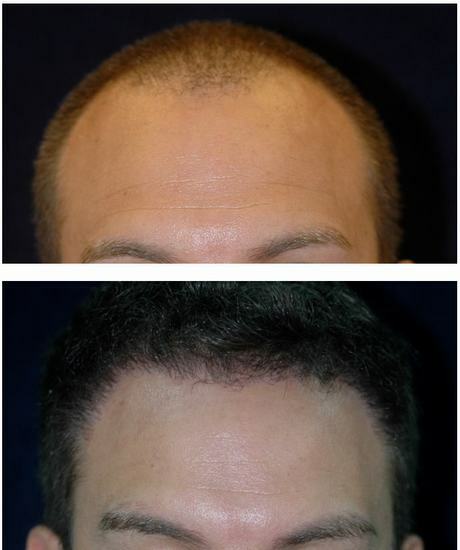 Patients with hair loss/thinning problems are the best candidates for this procedure. 4-5 spots of hair roots will be harvested and processed to extract and activate the stem cells then the activated stem cells will be transplanted by meso injection to areas with thinning hair. The whole treatment will take about 60-90minutes and there is no downtime after the procedure. Is Hair Root Stem Cell an alternative to Hair Transplantation? Simply putting it, hair root stem cell treatment is not an absolute alternative to hair transplant. Patients with bald spots still need hair transplantation. Hair Root Stem Cell is mainly recommended for patients with thinning hair problems. 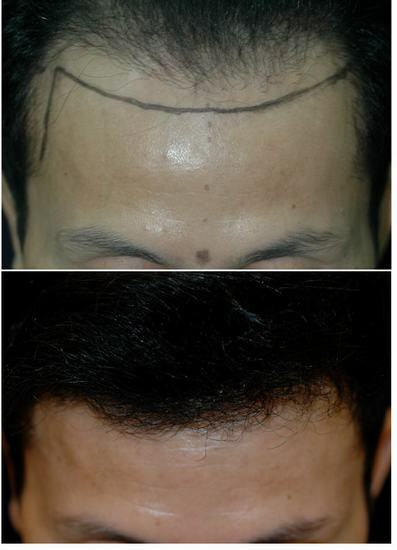 On some cases, patients can do hair transplantation to bald areas, then further improve the hair volume on the area through Hair Root Stem Cell transplantation. At Yoskarn Clinic, we offer Hair Transplantation, Hair Root Stem Cell Transplantation, PRP Hair Rejuvenation, and other hair restoration treatments and medications so our doctor will not just give you a recommendation because that’s what we have, our doctors will recommend the procedure that will give you the best result based from your condition. Should you want an evaluation, do feel free to drop us a message.